With the migration of network architecture in modern data centers, fiber optics is becoming the preferred option for switch interconnect and server I/O, meeting the demands on bandwidth, port density and low-power. 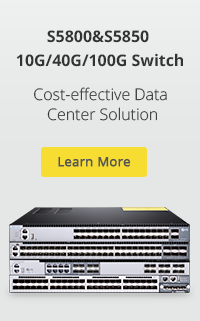 FS.COM puts much emphasis on developing a comprehensive, cost-effective and advanced solution of 10G, 40G, 100G and beyond 100G fiber optics products to help build unprecedented scale, bandwidth, flexibility and efficiency to your modern data center. 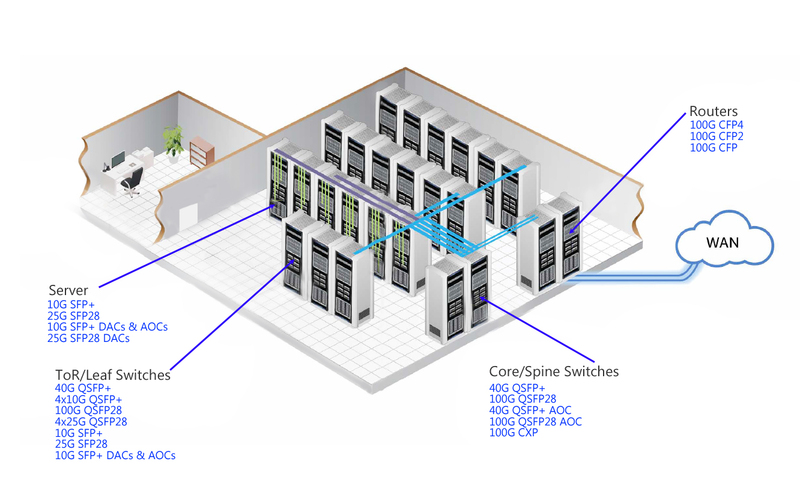 The optics and cables are usually used in the equipment distribution area (EDA) of data center, as shown in the below. More products are coming soon. For more information, please contact sales@fs.com. 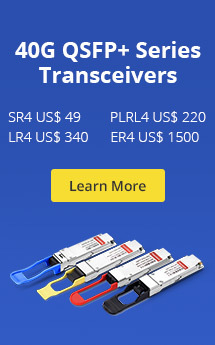 This entry was posted in Fiber Optic Transceivers and tagged 40/100 GbE, AOC, DAC, Fiber optic transceivers. Bookmark the permalink.